It’s happening again – splotches of scarlet shrubs adding pizzazz to October’s kaleidoscope of jeweled tones slowly morphing into winter’s silence. But wait, slow down, stop and gaze into the next burning bush (Winged Euonymous or spindle tree) you pass. Note the reddish purple fruit beneath finely toothed leaves, no longer green, upon branches flaring with corky wings. 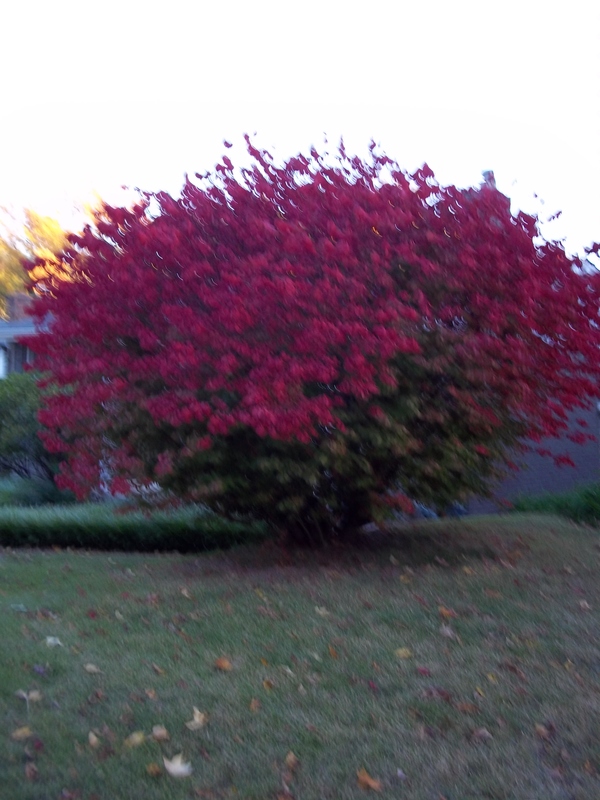 After a few days, note the red mantle encircling the bush. Such a burning bush recalls the ancient story of Moses as narrated in the Hebrew book of Exodus. It was an ordinary day when Moses set out with the sheep of his father-in law, Jethro, and headed toward the wilderness area near Mount Horeb; an ordinary day that would stun Moses to the core. In the distance, he noted a living shrub enlivened by flames. Terrified, he moved closer. From the heart of the bush resounded the words: “Moses! Moses! … Take of your shoes. Come no nearer, for the place on which you stand is holy ground. I am the God of your father Abraham, the God of Isaac, and the God of Jacob.” Moses covered his face, afraid to look at God. More words followed from the burning bush – the revelation of God’s name empowering Moses to free the oppressed Israelites from Egypt’s Pharaoh, the strategies necessary for this daunting task. With Moses’s reluctant acceptance, the living shrub became ordinary again, but he was changed. And we know the rest of the story.